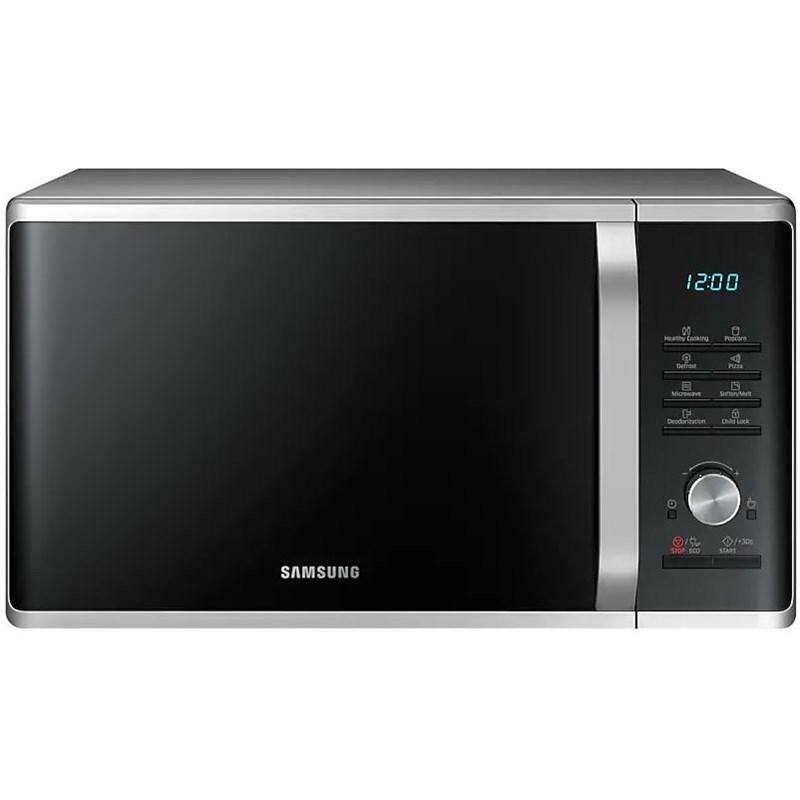 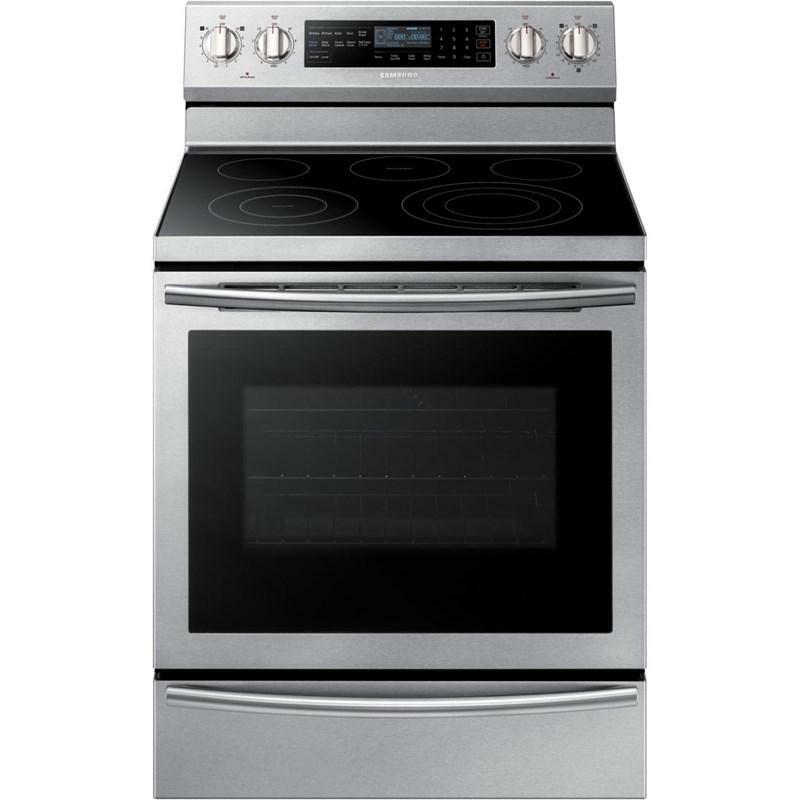 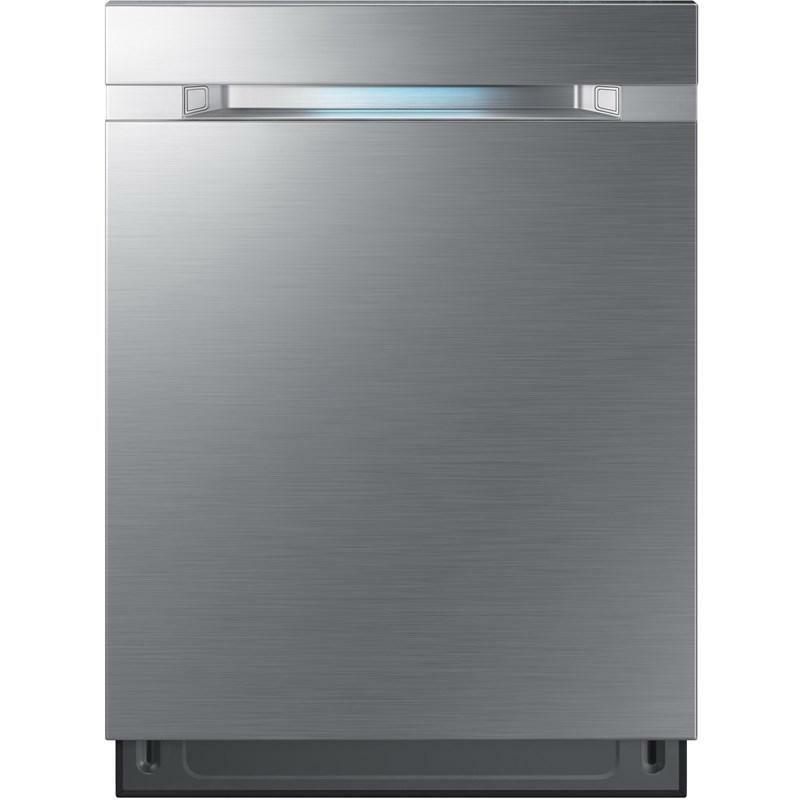 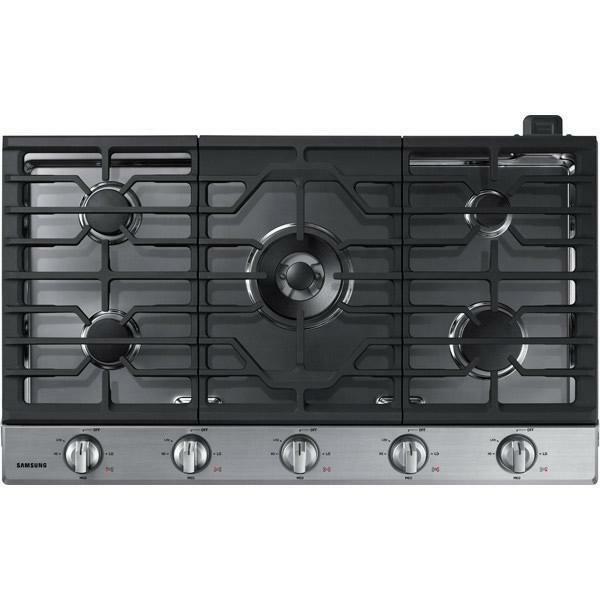 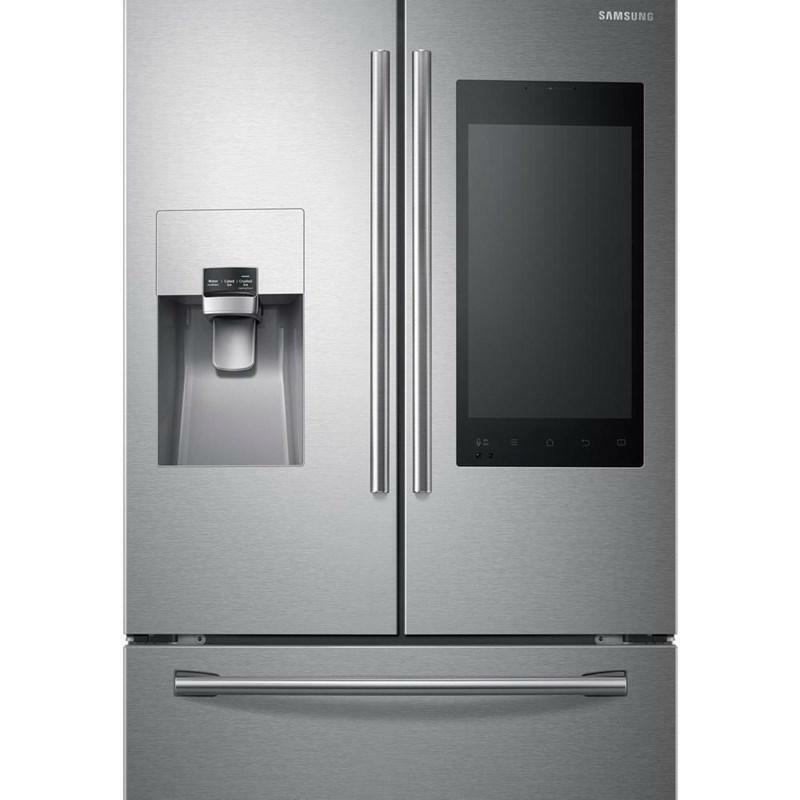 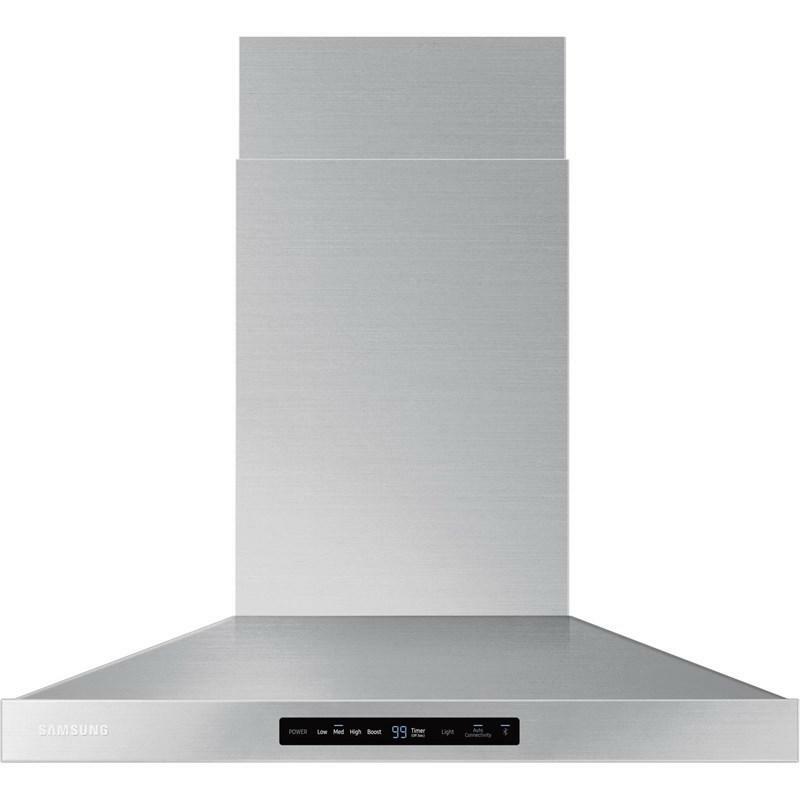 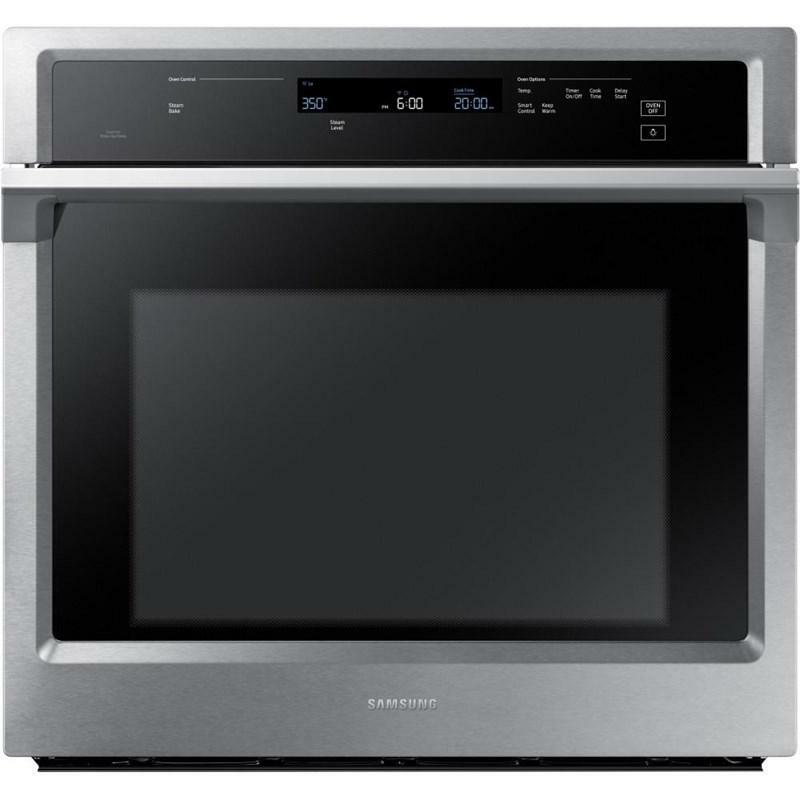 Samsung 26 cu.ft. 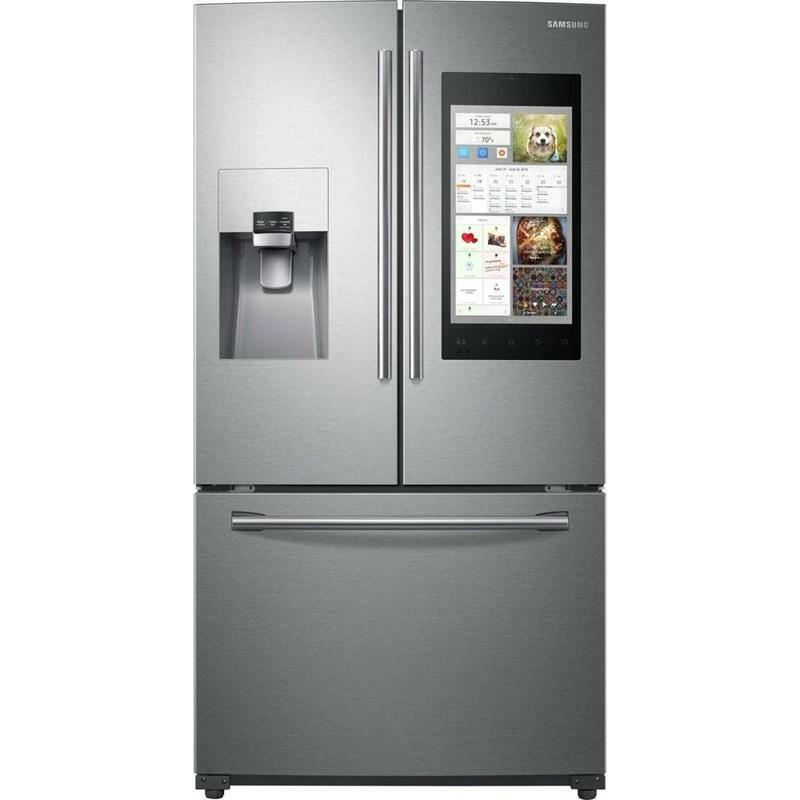 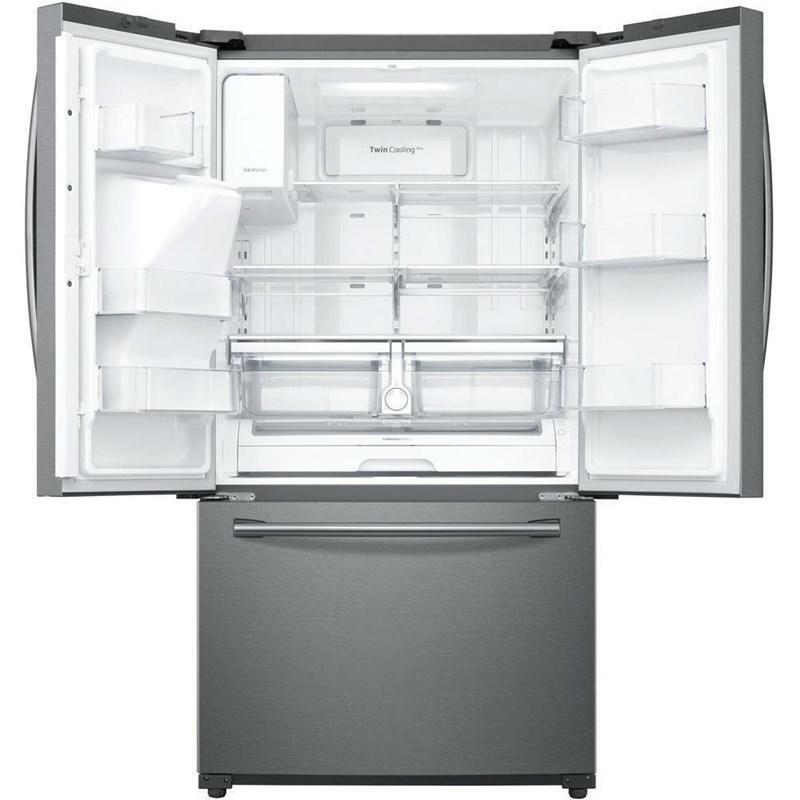 capacity 3-door french door refrigerator with Family Hub™. 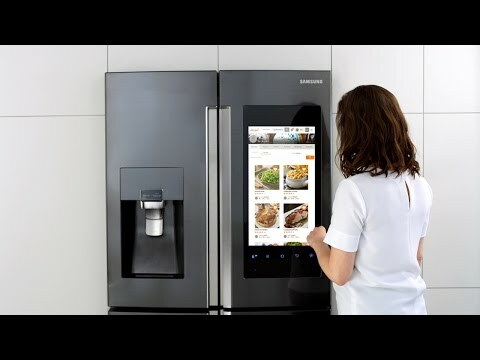 Family Hub™ helps you manage your home and your life, with food management, family connection and entertainment capabilities, all controlled from the 21.5" Wi-Fi enabled touchscreen. 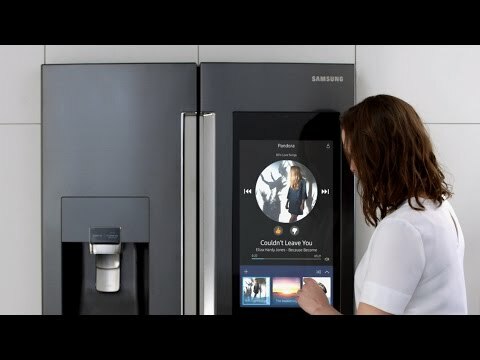 Create shopping lists and expiration notices, share multiple calendars, photos and memos, and stream music, videos and your Samsung TV directly on your Family Hub™. 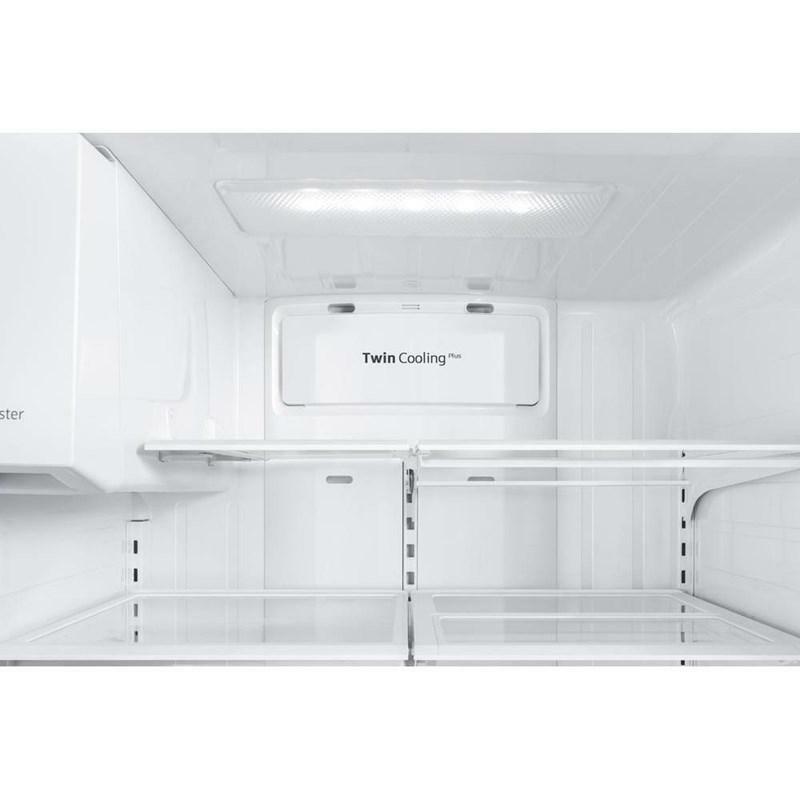 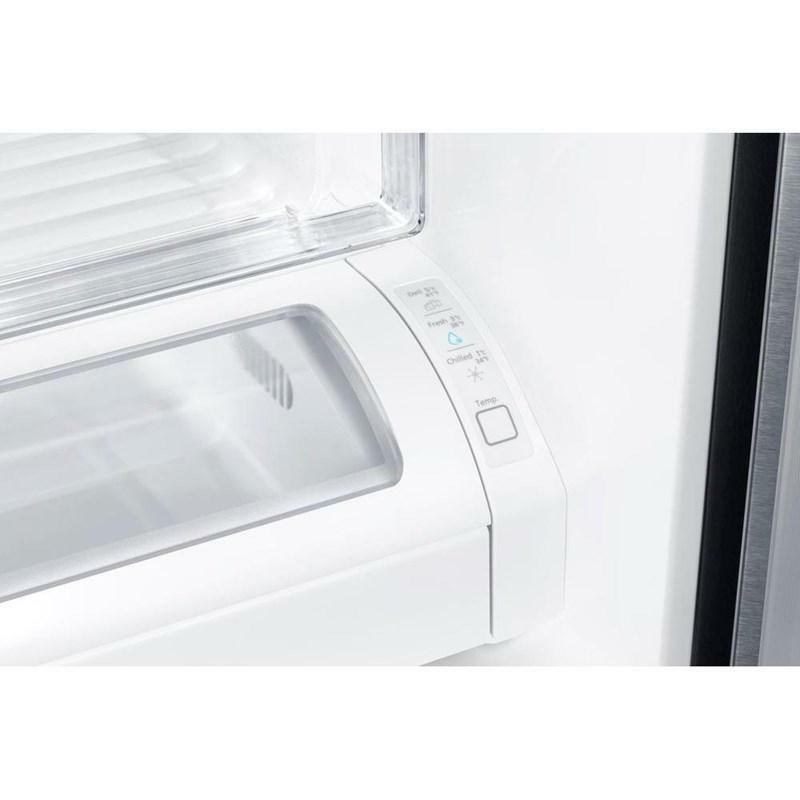 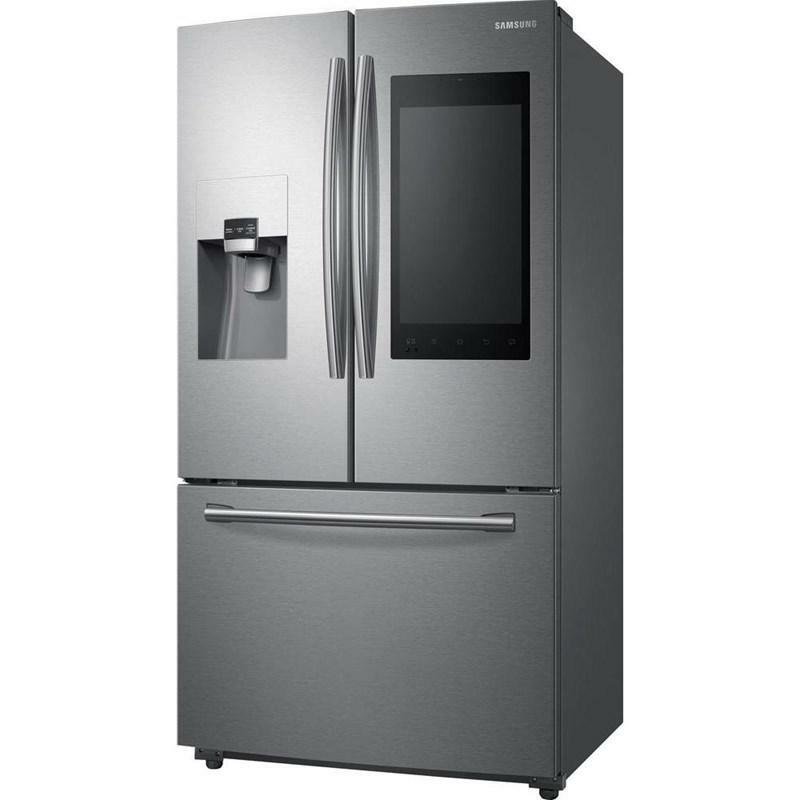 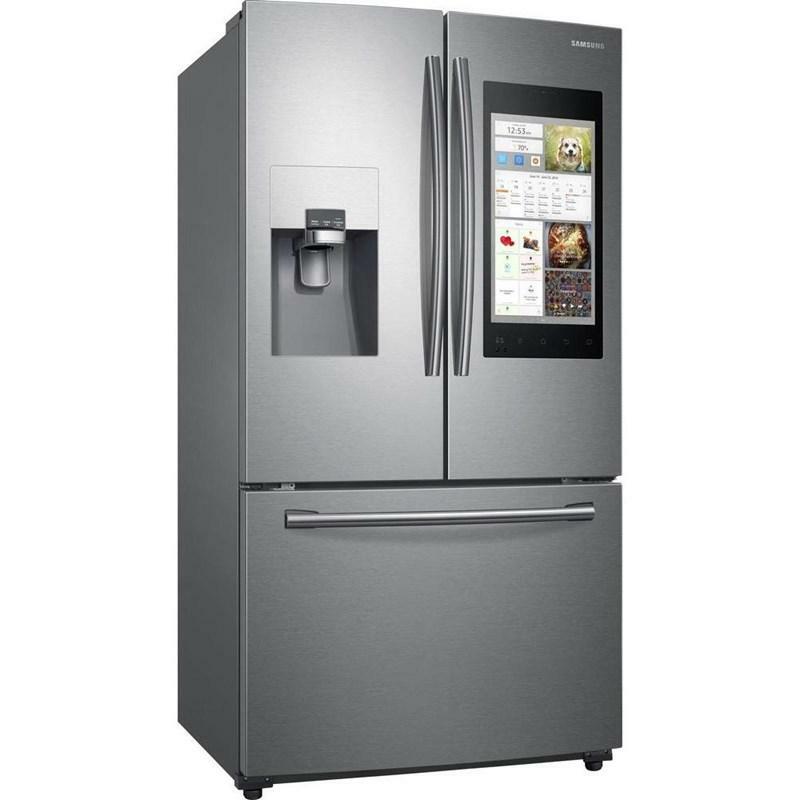 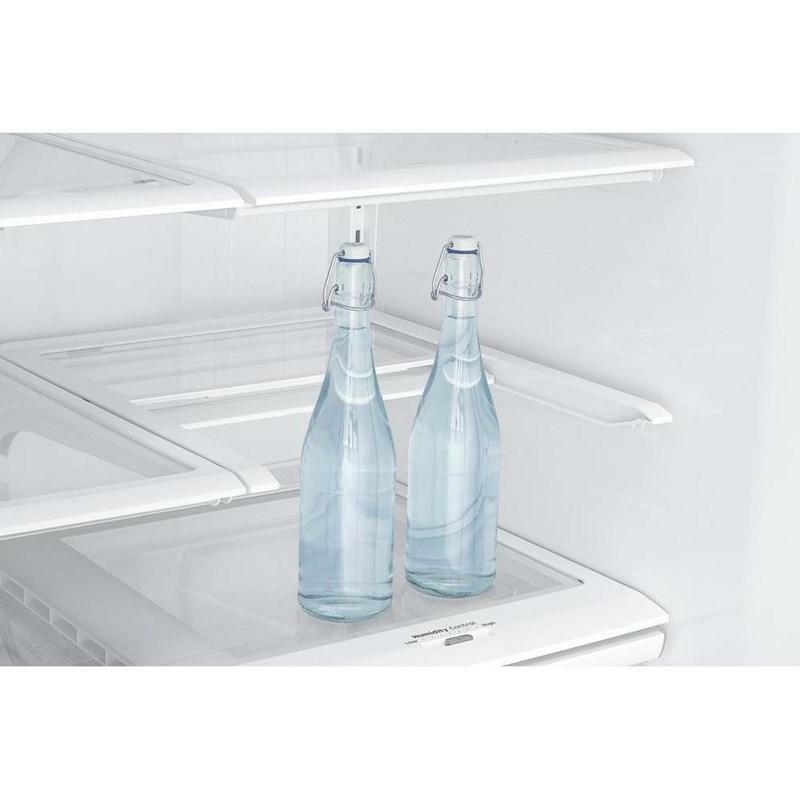 This refrigerator also features Twin Cooling Plus™, CoolSelect Pantry™ and high-efficiency LED lighting. 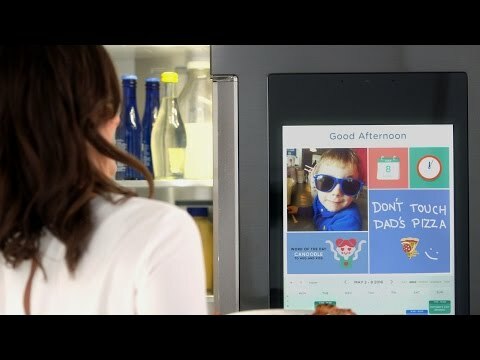 Family Hub™ helps you manage your home and your life, with Food Management, Family Connection and Entertainment capabilities – all controlled from a 21.5” connected touchscreen. 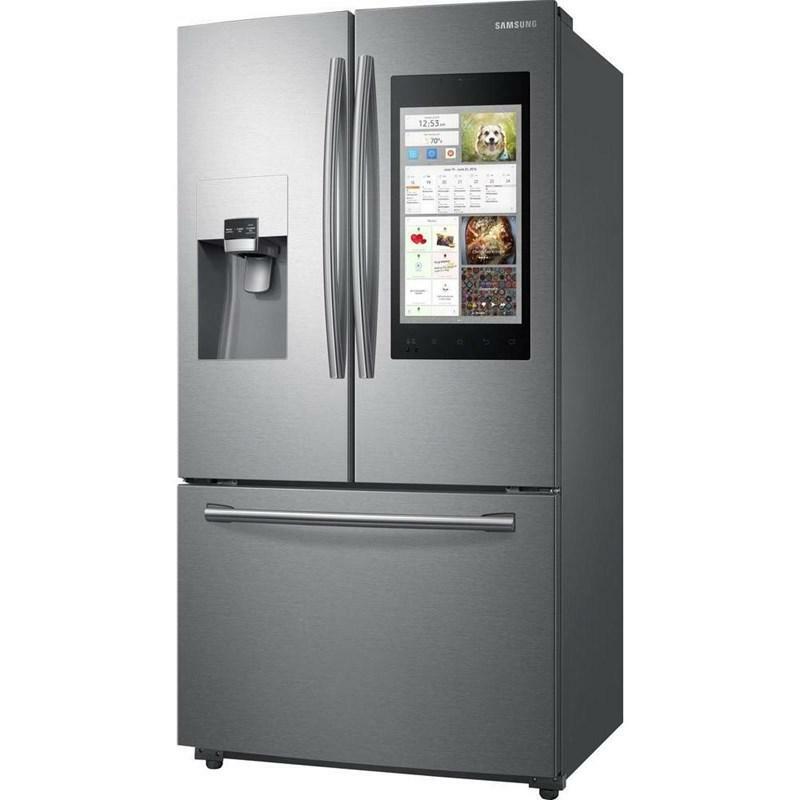 The premium stainless steel exterior has a special coating to help eliminate fingerprints and smudges – so your fridge always looks its best. 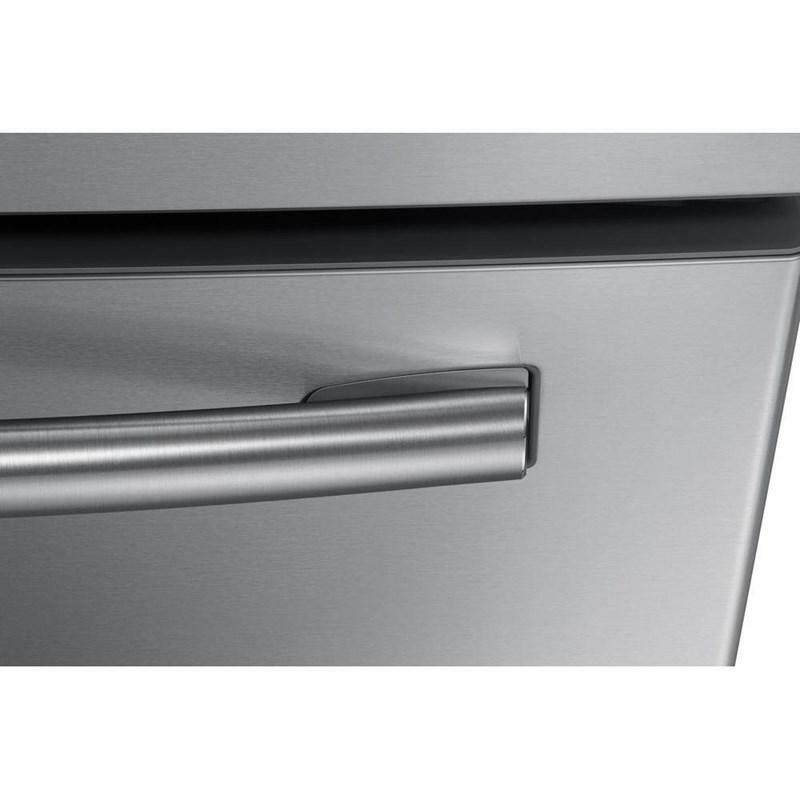 Additional Dimensions • Dimensions (WxHxD with hinges, handles and doors): 35 3/4" x 70" x 35 5/8"
• Dimensions (WxHxD without hinges and door): 35 3/4" x 68 5/8" x 29 1/4"